Across the nation, Neighborhood Watch and law enforcement are helping vacationers enjoy crime-free summer fun. A cynic once said that nobody needs a vacation more than the person who just had one. The sad fact is that, for those who return from paradise only to find their homes ransacked or their bank accounts siphoned, these words ring all too true. Each year, many people living in America fall victim to crime during the summer vacation and holiday travel months. In many (some experts would argue most) cases, victimization could have been prevented with forethought, common sense, and simple advance preparation. Law enforcement agencies that team with Neighborhood Watch groups can help ensure residents and their properties remain safe, even when occupants are away for extended periods. Likewise, law enforcement agencies serving popular tourist spots can join forces with area crime prevention groups, thereby preserving the community as both a safe haven for locals and a popular travel destination. With insights gleaned from law enforcement agencies representing distinctly different American communities, this article provides an overview of travel safety considerations and offers tips crime prevention leaders can use to implement or enhance local Vacation Watch programs. Boris® Never Goes on Holiday! Petty criminals are looking for an easy buck—not a physical confrontation—which is why home break-ins and property thefts often occur when residents are on vacation or traveling. According to the Bureau of Justice Statistics’ National Crime Victimization Survey, 15.6 million property crimes were committed in 2009. Three-fourths of cases reported involved theft, mainly vehicular (85 percent), while more than half (57 percent) were categorized as household burglaries. Suspend subscriptions or ask a friend or neighbor to pick up newspapers, mail, and flyers so that they don’t pile up outside the home (a clear sign to criminals that occupants are away!) The National Association of Realtors warns that clever crooks sometimes even distribute bogus handbills door to door to determine whether an occupant is home. Likewise, residents should make arrangements to have their lawn mowed and watered during their absence. Proper pet care should also be arranged in advance (keeping in mind that animals should never be left without food, water, shelter, or proper ventilation, especially during the hot summer months). Provide caretakers who will enter your home with a key. Never leave spares in the mailbox, under doormats, or in other outdoor hiding places. Set timers to turn lights, radios, and televisions on and off each evening. Avoid keeping valuables such as jewelry or large sums of cash in the home. When possible, it is best to leave these items with a trusted friend or family member, or rent a safe deposit box. However, if valuables must remain in the home, the National Association of Realtors recommends using a storage vault that is secured to the home’s foundation. This measure will prevent home invaders from stealing safes to open after they’ve left the crime scene. Store and lock away recreational items normally kept outdoors (e.g., grills, bicycles). Also lock up tools that a criminal could use to gain forcible entry into your home (e.g., shovels, hammers). Although most people now access their answering machine remotely, or rely on mobile phones, it is still important to never broadcast travel plans via voice mail greeting. Similarly, take care when creating “out of office” e-mail alerts, especially if home address or travel destination can be easily ascertained from the message content and when posting to social networking sites. 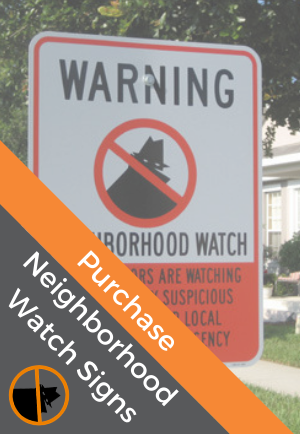 Notify your block watch captain or other Neighborhood Watch volunteers of the times and dates you plan to be away and, if available, sign up for a patrol/home watch service offered by area law enforcement. Nationwide, many police departments and sheriff’s offices now provide drive-by home patrol and surveillance services. In Bell County, Texas, for example, the Community Oriented Policing Services Division of the sheriff’s office has implemented a Vacation/House Watch program to serve the county’s growing 300,000-plus population. The program encourages residents to enroll for service online or via a 24-hour telephone line. Applicants are asked to provide departure and return dates, emergency contact information, a description of the residence, as well as the names and vehicle tag numbers of everyone (e.g., pet sitters, contractors) expected to visit the watched property during their absence. This information is distributed to all sworn personnel so that deputies working morning, afternoon, and night shifts can periodically drive by to patrol for suspicious activity. The Vacation/House Watch initiative has been met with enthusiastic support, especially among Bell County’s burgeoning suburban population, many of whom live in homes spaced too far apart for neighbors to keep close vigil on one another. “We recently gave a presentation to a group of approximately 25 Neighborhood Watch members in the eastern part of Bell County,” said Sergeant Perry Moose, COPS Division. “They were very surprised to learn of the program and expressed interest in participating.” Division liaisons plan to continue promoting Vacation Watch, in conjunction with the agency’s online crime bulletins, during upcoming Neighborhood Watch meetings in order to raise awareness of local trends that may affect community safety, both when residents are home and away. The popularity of the Internet and social media has created new challenges for law enforcement and crime prevention experts, who remind users that even seemingly harmless information made public can have serious consequences. In a widely reported case last year, a Port St. Lucia, Florida, couple’s home was broken into, and nearly $30,000 worth of jewelry and electronics were stolen, while the pair vacationed in New York. The couple speculated afterward that the crime had been committed by a burglar who learned of their travel plans from a status update. Misplaced trust can leave normally cautious individuals vulnerable to con artists, petty thieves, and even violent criminals. Law enforcement experts warn social media users to avoid broadcasting dates, itineraries, and other travel details that could reach unscrupulous eyes on sites such as Facebook, Twitter, and Blogger. Other prudent security measures include applying maximum privacy settings to online accounts and limiting friend or subscriber lists to close friends or family members. In a recent blog, Warrick County, Indiana, Sheriff Brett W. Kruse also suggested withholding travel details until after the fact: “If you want to talk about your vacation, wait until you return home” (http://warricksheriff.blogspot.com). Rest assured, Aunt Betty will be just as jealous if you post those Bora Bora photos after you are safely back in the U.S.A.! Despite the aforementioned challenges, more and more law enforcement agencies and Neighborhood Watch organizations are harnessing social media to disseminate timely vacation safety and crime prevention information. The Westside Neighborhood Watch of Shawnee, Oklahoma, for example, uses Blogger to share good vacation safety practices and crime alerts (http://westsidewatch.blogspot.com/search/label/vacation). The Crime Prevention Task Force serving the Ahwatukee Foothills community of Phoenix, Arizona, offers two programs, Vacation Watch and Patrol Watch, via its interactive webpage. The former is intended for residents who plan to be away for an extended period, while the latter serves individuals currently experiencing crime problems at a home or business location (http://www.afinfo.org/policewatch.shtml). Of course, block watches and police surveillance are of limited value to those who fall victim to crime while on holiday—or when otherwise prudent adults throw caution to the wind as soon as the Airstream hits the highway. Thieves, scam artists, and other criminals routinely prowl popular travel destinations, especially during holidays and summer months, preying on these unsuspecting out-of-towners, who frequently carry large sums of cash, credit cards, and expensive electronic gadgets. The Orange County, Florida, Sheriff’s Office offers this simple but sage advice to the millions who visit Orlando’s attractions each year: “Common sense, don’t leave home without it!” While we can’t always blend in with the locals, smart travelers know to stay alert, carry themselves with confidence, and avoid flashing money or valuables. Especially for families, the Orange County Sheriff’s Office website provides additional recommendations: teach children your name and phone numbers, designate a meeting place in case a family member gets lost, write children’s name and phone number on their clothing labels, always use crosswalks and hold children’s hands when crossing busy streets. All sensible reminders—whether heading south to see the Mouse or beachcombing in Nantucket. Crime prevention organizations can further protect visitors with destination-specific safety tips. For example, Orange County theme park enthusiasts are warned to look out for bogus ticket vendors while nature lovers are urged to leave alligator whispering to the professionals! Planning to hike the Himalayas or safari the Serengeti? The U.S. Department of State provides consular information sheets on every country as well as current alerts and warnings. The site also provides a wealth of useful advice on topics diverse topics, including recognizing pickpocket tactics, staying safe on public transportation, and avoiding legal difficulties. Don’t let preventable illness spoil your fun abroad. The Centers for Disease Control and Prevention website provides current health information and vaccination requirements for more than 200 countries. Opt for debit or credit cards, or traveler’s checks, all safer options than cash. Federal law limits a cardholder’s maximum liability for unauthorized card use to $50. Also, if the loss involves the credit card number, but not the physical card, the cardholder is not liable for any charges. Be aware, however, that federal law regarding ATM/debit card loss or fraudulent transfers differs. Consumers who report the loss within two business days after realizing a card is missing are not responsible for more than $50 for unauthorized use. However, if the loss is not reported, the cardholder can lose up to $500. Cardholders who fail to report an unauthorized transfer within 60 days after their bank statement was mailed to them risk unlimited loss—possibly the entire amount in the account and any unused portion of credit line or overdraft (Federal Trade Commission). Overall, the tips and helpful insight provided above are only successful and useful when applied and utilized by all. We hope that you take time and remember the above tips to make your travels this summer pleasant and your return home uneventful.